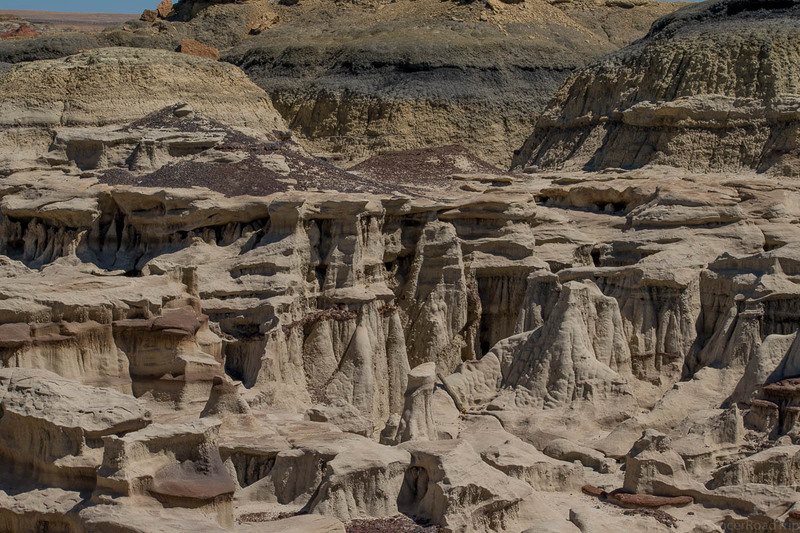 Mesas, buttes and badlands are staples of western geography. 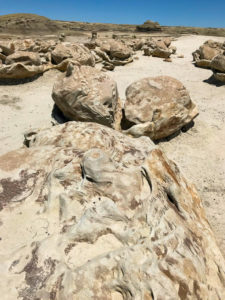 Molded by centuries of wind and water these fascinating rock formations have captured the imaginations of many, often symbolizing the rugged individualism associated with the American west. 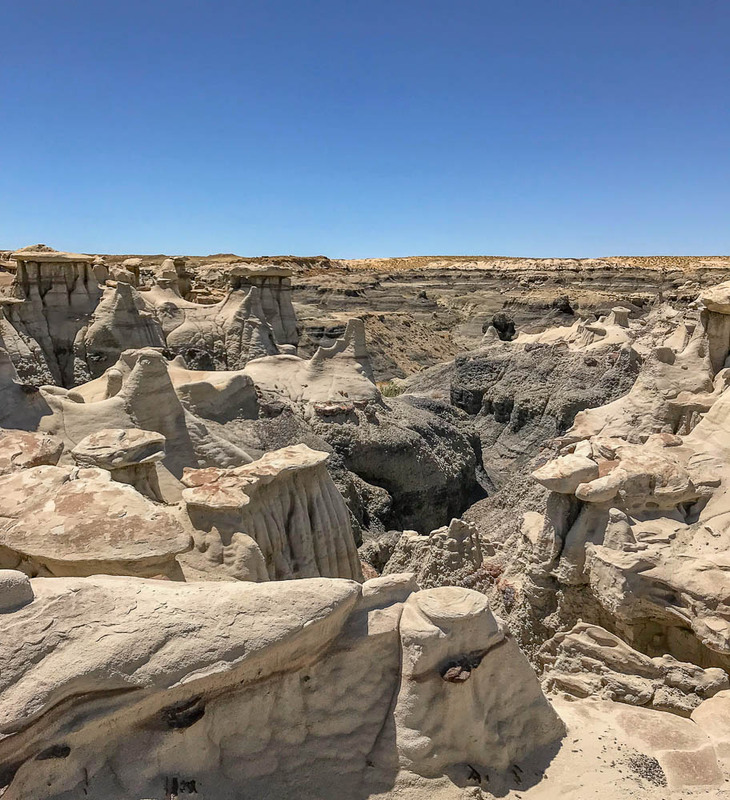 This particular photo gallery shares some of my travels in the last month, where I had the chance to visit both Chaco Canyon and the Bisti/De-Na-Zin Wilderness. Neither are for the faint of heart. 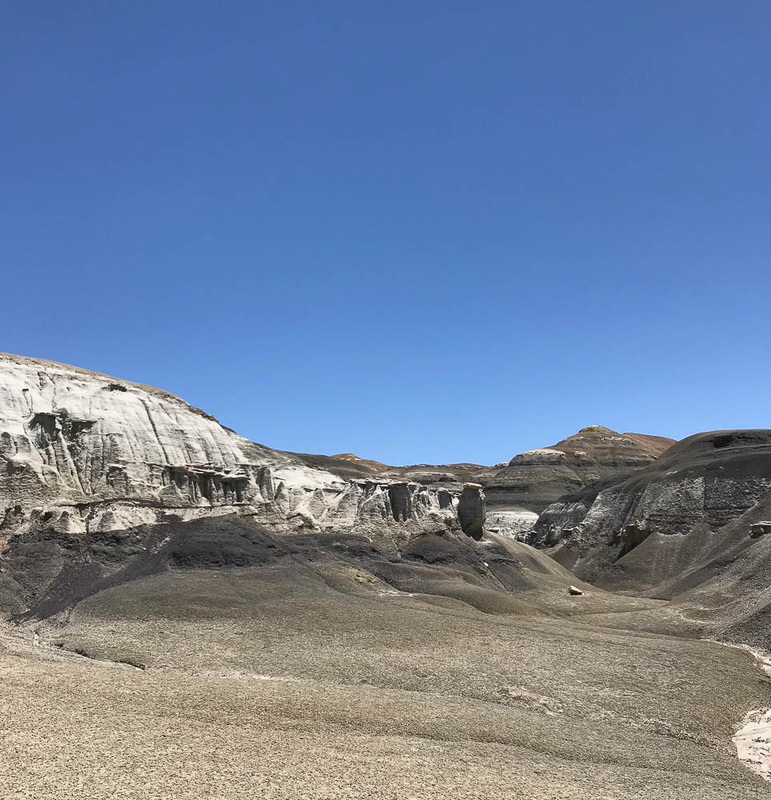 There is no water, no gas and no accommodations. Camping is the only option. It gets cold at night and there is a hot sun overhead during the day, and miles to walk. Plan accordingly. 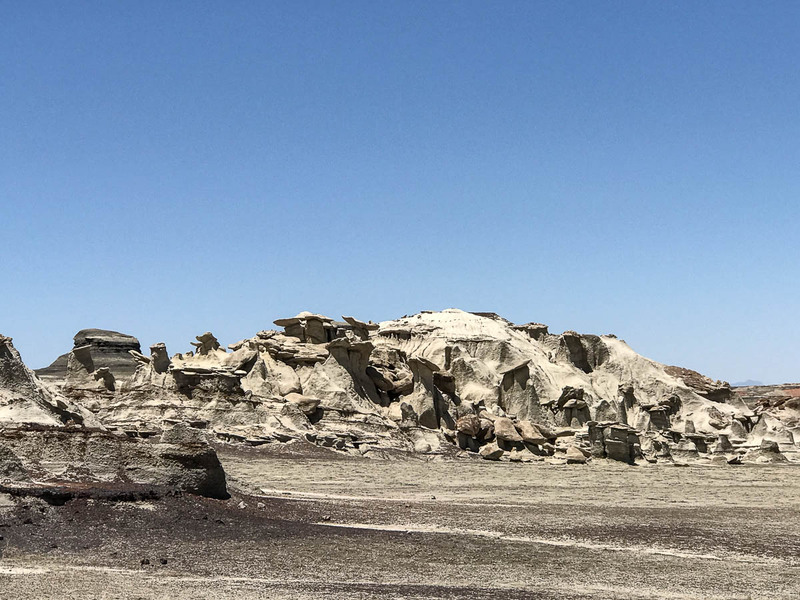 Where are the “cracked eggs”, one of the famous rock formations of Bisti/De-Na-Zin? Over those hills. Those hills way out yonder! So we trekked! Under the blistering sun, to the cracked eggs. 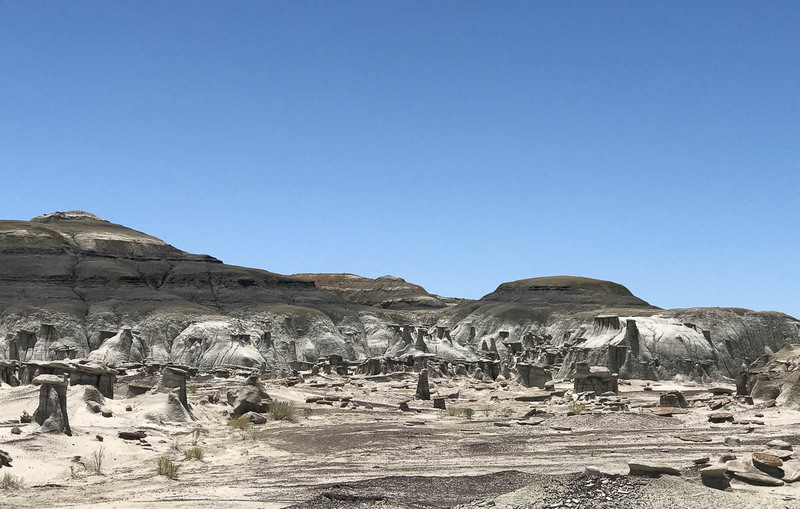 Bisti/De-Na-Zin Wilderness was the final stop on my 3 day adventure to Chaco Canyon. 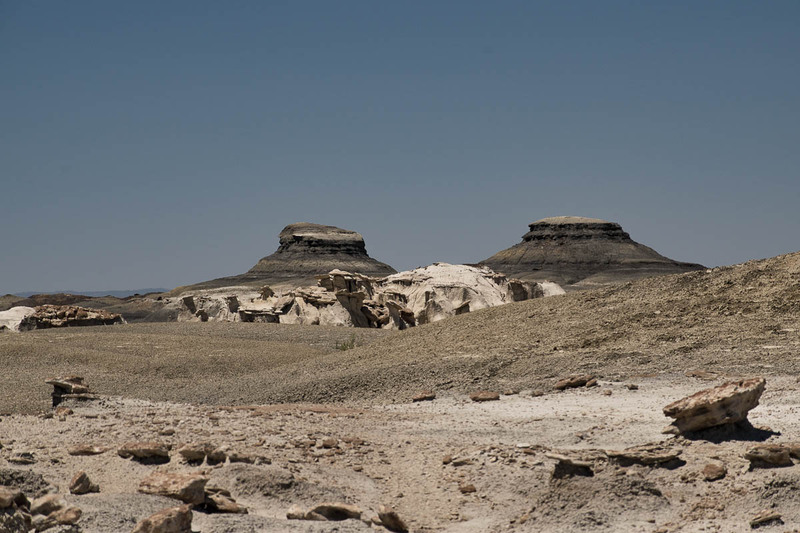 Although we left Chaco early, by the time we arrived at Bisti, the sun was already high in the sky. It was hot, and getting hotter. We had visited on perhaps the last day before summer fully settled in. If it weren’t for a faint breeze, it frankly would have been unbearable. Even so, one person had some minor heat related problems. 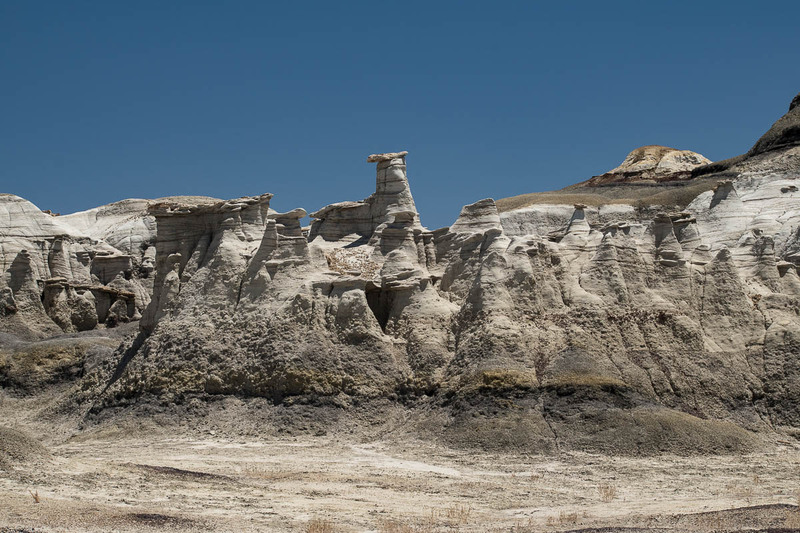 Bisti/De-Na-Zin Wilderness –or “Bisti” for short–comprises 45,000 acres in northern New Mexico. 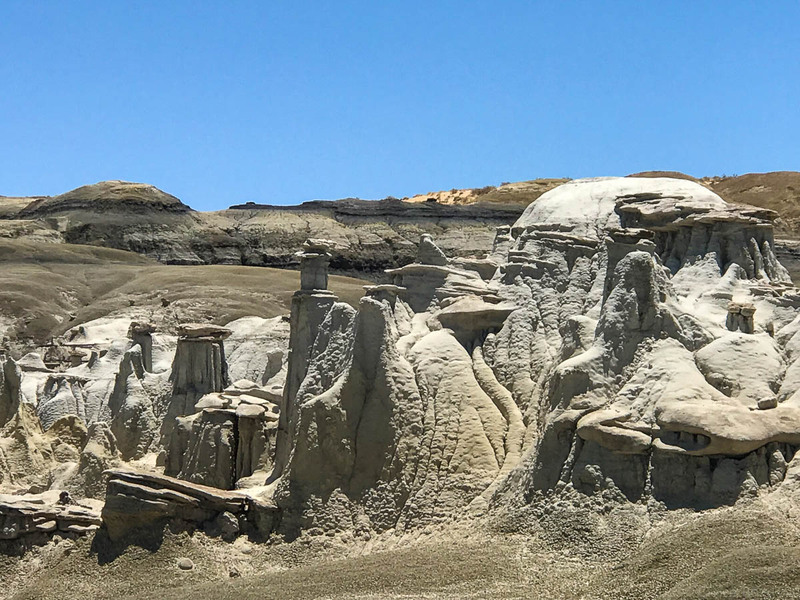 Bisti translates to “among the adobe formations”, and De-Na-Zin is Navajo for “Standing Crane”. The name may be related to the petroglyphs of the birds found in the wilderness area. 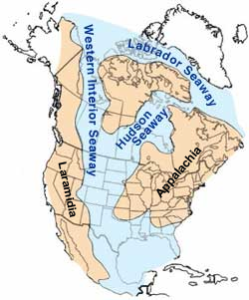 Seventy million years ago, this was a river valley that drained into the Western Interior Seaway, an ancient sea. The combination of water, wind and time has caused the erosion that has created such esoteric rock sculptures. 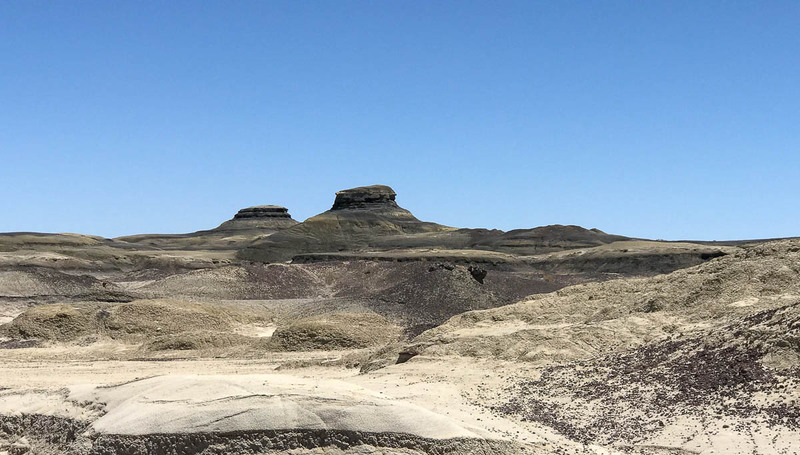 Mesas, buttes and badlands, as far as the eye can see! 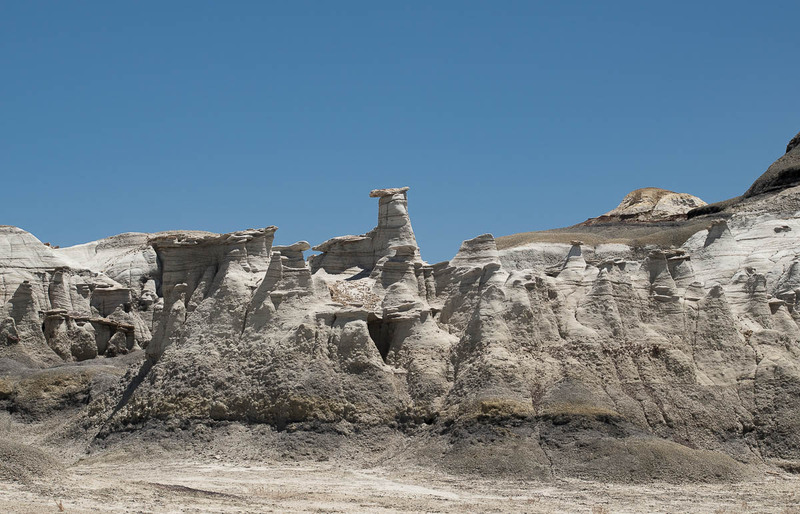 The hoodoos–also called tent rocks, fairy chimneys and earth pyramids–are soft rock topped by harder rock. 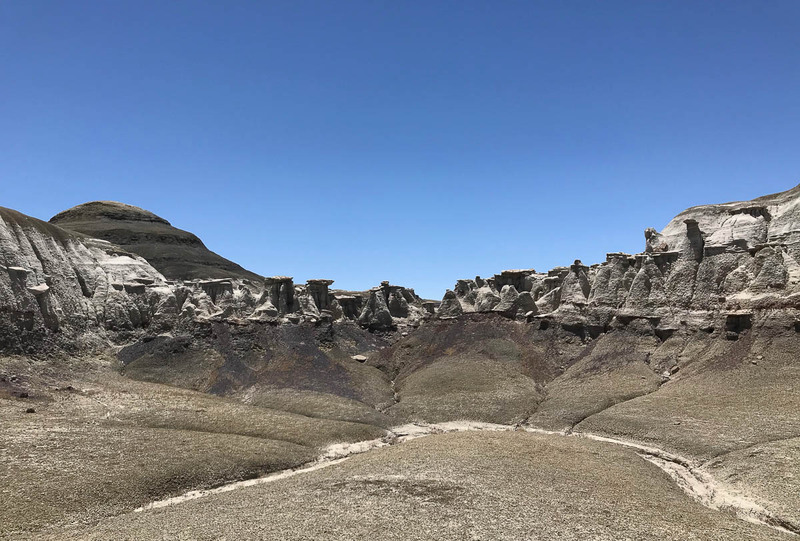 This variation in density results in uneven erosion and their distinctive shape. 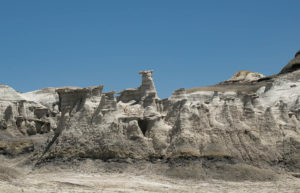 Bisti has the potential to be photographic hog heaven, but it requires being there at dawn or at sunset. Which most likely means another camping expedition, when the weather gets cooler. This time I’m thinking more RV and less tent, but we’ll see what evolves. 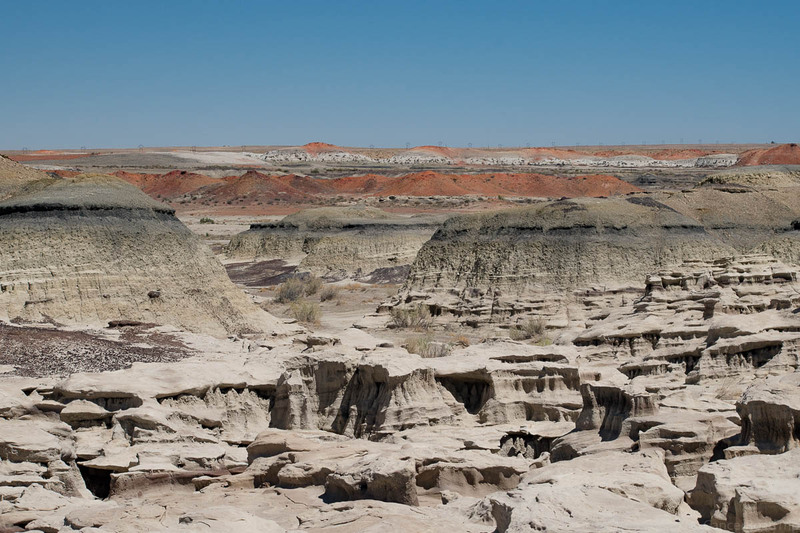 The red marker is Bisti Wilderness; the green area is Chaco Canyon. They would appear to be near each other. 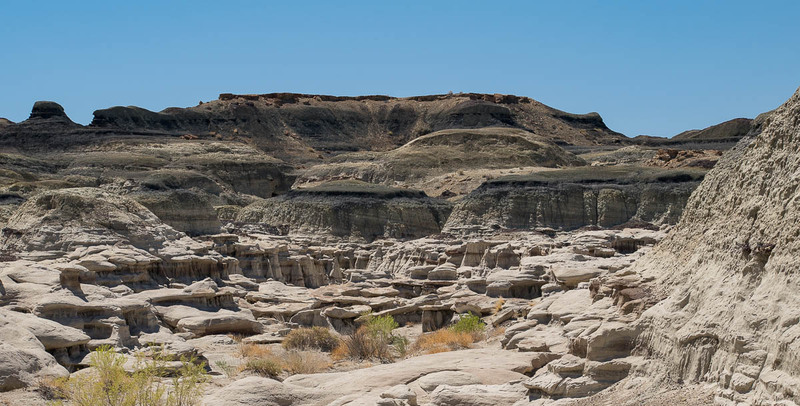 Chaco Canyon to Bisti/De-Na-Zin Wilderness looks like it should be a short distance. And it would be, if there were a road. But there is no road. Just as there is no gas, no water and no food. Instead, the trek from Chaco to Bisti requires going back out the the highway, north, then southwest. Much of the drive is actually atop a Navajo mesa. 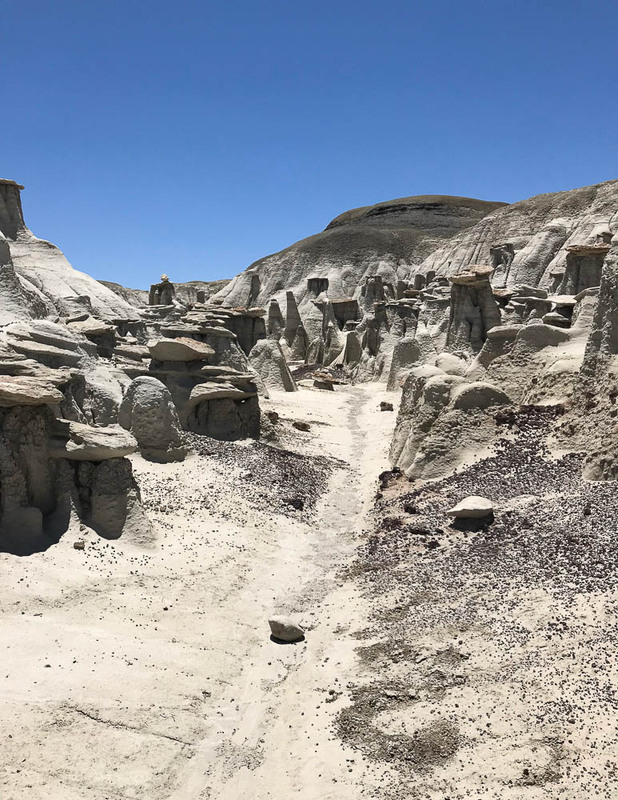 From there, one goes through some Navajo farms and then down to Bisti Wilderness which is a combination of BLM (Bureau of Land Management) land and three Navajo owned properties. 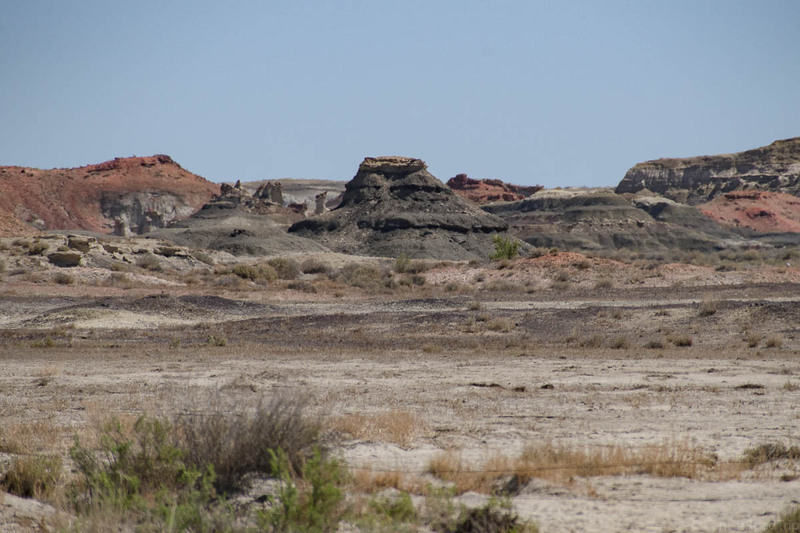 From Chaco there is no direct route. Instead, one heads back to the highway, north, then southwest. 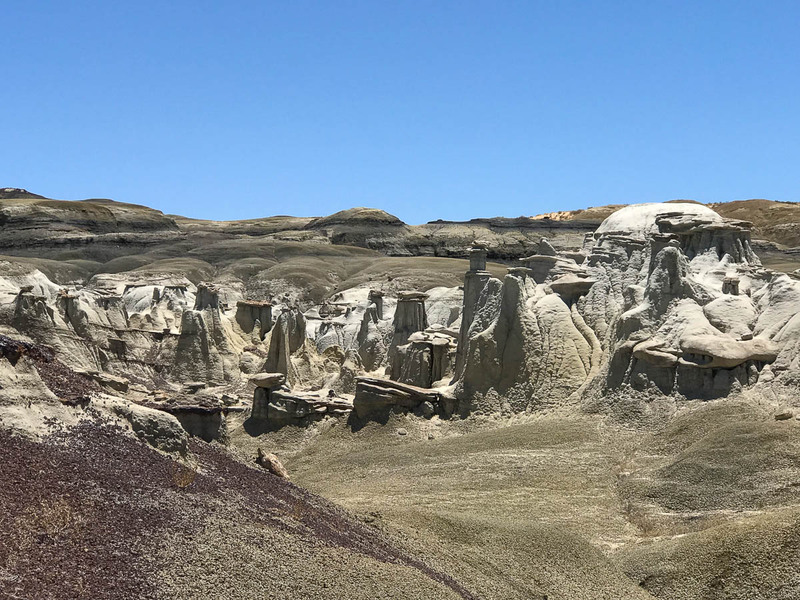 Any lodging at Bisti, as at Chaco, is “bring your own”. Be prepared with plenty of water, both to be carried while hiking and back at base camp. 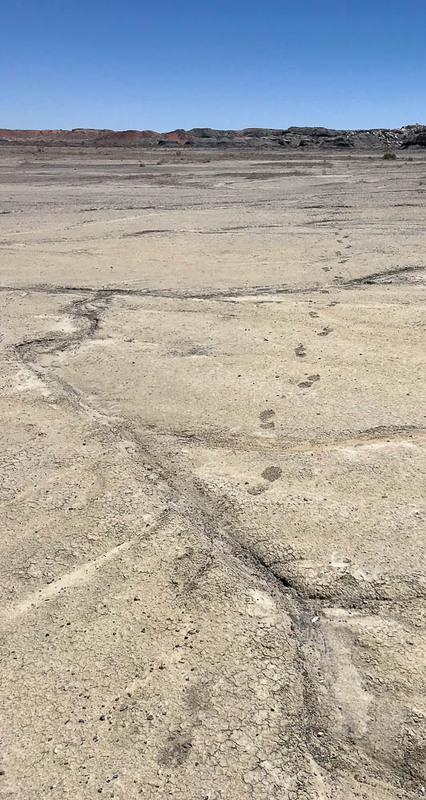 Wear broken in, comfortable hiking boots, and bring your walking sticks! (My Urban Poles go everywhere with me! Discounts for my readers in the side bar.) Don’t forget a serious sun hat. 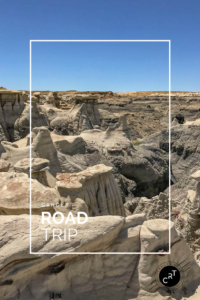 Plus, of course, bring your camera or drone. And be ready to be amazed! 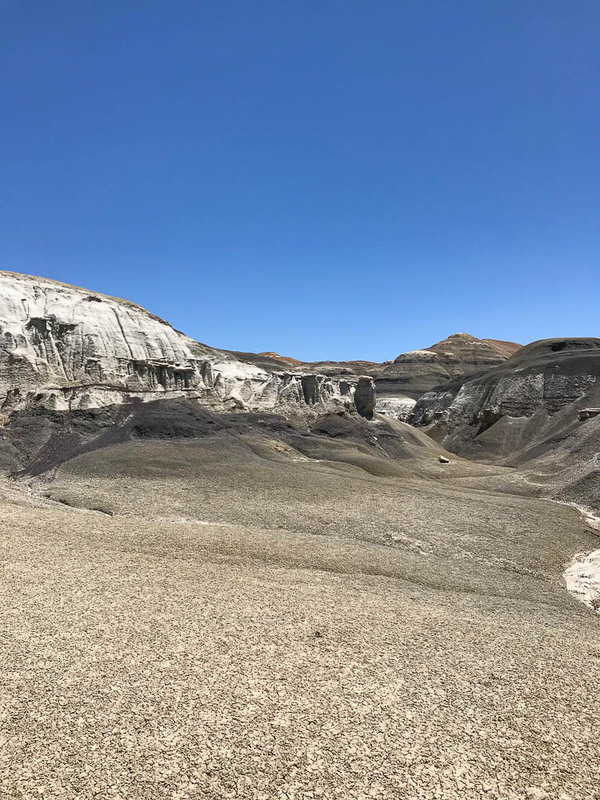 Hiking in Northern New Mexico is nothing short of spectacular. 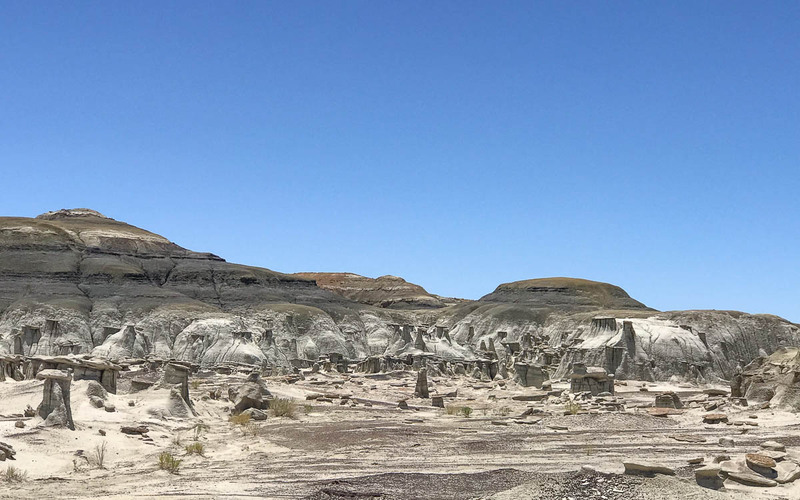 Before you go, check with the Park Service for any restrictions. Right now the entire Santa Fe National Forest is entirely closed to any hiking and camping due to high fire danger. Most of the parks do have restrictions on open flames. Please honor these limitations. The fire danger in the southwest is extreme, and everyone needs to act thoughtfully and responsibly. 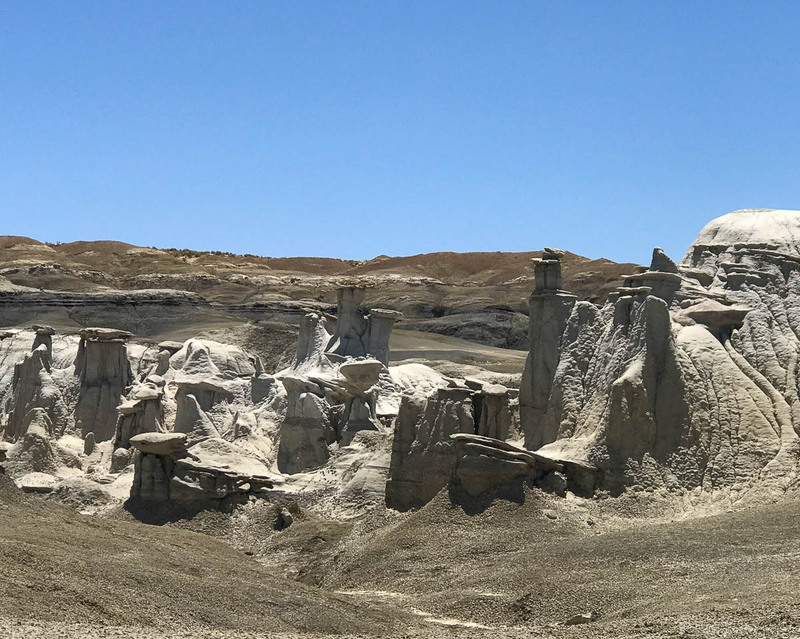 Returning to Santa Fe from Bisti is a spectacular and straight forward drive, down Route 550 to Cuba. 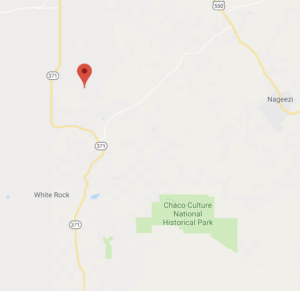 But at Cuba, NM, you have an interesting choice. 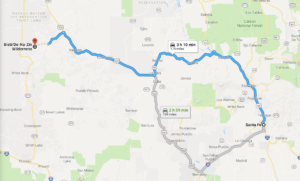 You can go north and return to Santa Fe via Abiquiu, or continue south to Bernillo and get Route 25 North. The distance is about the same. 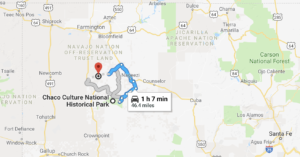 If you’re visiting the area, an overnight stay in Abiquiu or at Ghost Ranch would make an excellent excursion on the way to or from Santa Fe. Be sure to have reservations. Lodging at either location is limited. 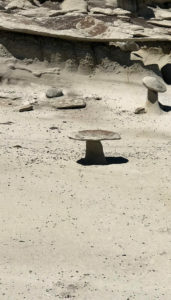 Contact either Ghost Ranch or the Inn at Abiquiu for options. 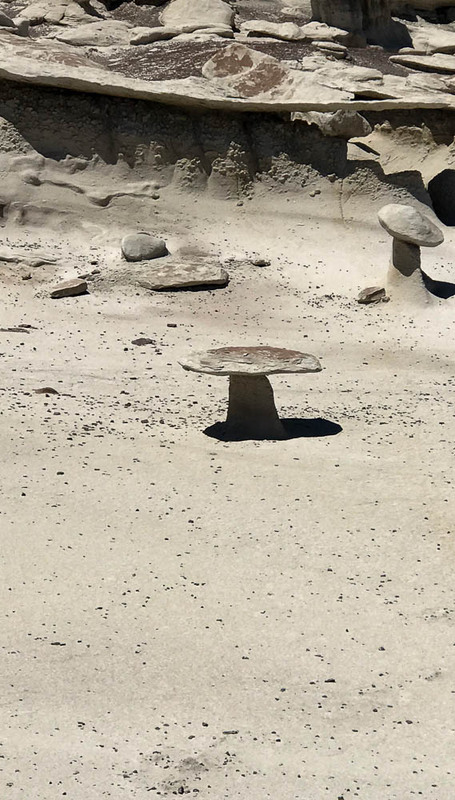 In addition, there are several AirBnB’s in Abiquiu. 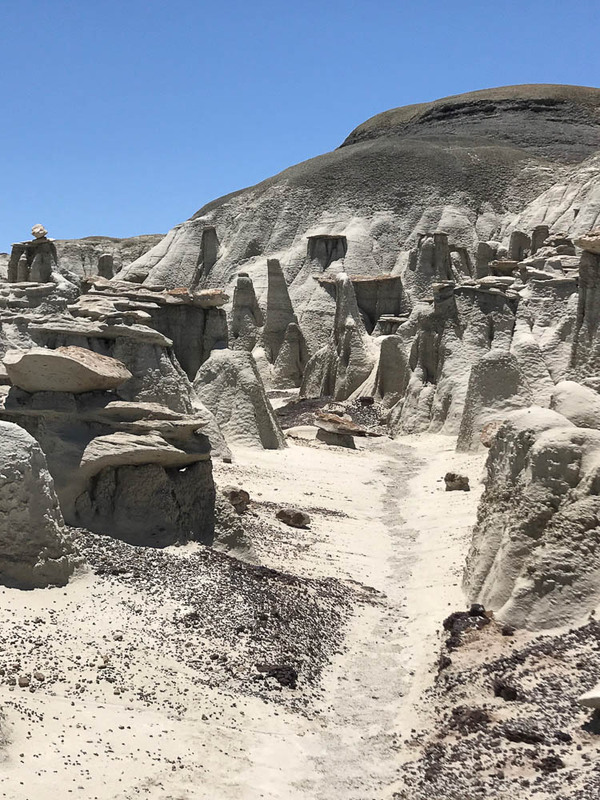 Taking the northerly route to or from Bisti Wilderness sets you up for a stay in Abiquiu or at Ghost Ranch en route back to Santa Fe, NM.